Imagine, invent & build. The possibilities are infinite.Dianne B. Welcome to the School of Art and Innovation. I am Dianne Brudnicki, owner and teacher, and I would like to tell you the story of a place that is like no other in the world of pre-college art and design education. It all began sixteen years ago; a humble kitchen table serving as the surface where the very first students would come to gather and create an array of imaginative art built on their individual ideas. Soon these young artists were beginning to attract others as a result of the quality of their work and I had to expand the school. The School of Art and Innovation is not what you would expect in an ordinary educational setting. As an artist and designer, I am most interested in discovering what each individual has to express through their art-making. This ideal became the foundation for a method of teaching that produces amazing results and authentic art pieces. My goal is to give students the opportunity to thrive in an environment that promotes innovative thought and offers the freedom to create their own new and diverse concepts. Students are encouraged to develop their ideas for projects by engaging in writing, experimentation and sketching in their sketch books. Our legacy of excellence is apparent as students direct their ideas through thoughtful analysis, research and discussions on culture, literature and life experience. Students work with their choice of medium, or combination of mediums, in an independent studio setting to build and create projects that are completely self-directed. As their teacher, I work with them to enhance their mastery and guide them through the artistic process. One of our key goals is to create projects that positively impact society through the collaborative efforts of students and influential partners. This process of pursuing social responsibility is a core value of our school. We have worked extensively with non-profits, municipal, civic and corporate organizations to bring creative enhancements to places that are in need of help or support. The students work together to problem solve and design solutions that result in community building. I encourage you to view our project slideshows to see all that we have done and discover what we are developing for the future. Through their experience at the School of Art and Innovation, students have either been accepted or gone on to study at the following prestigious schools: The Fashion Institute of Technology, Rhode Island School of Design, School of the Art Institute of Chicago, Berklee College of Music, School of the Museum of Fine Art, Parsons New School of Design, Art Center, California College of the Arts, Otis College of Art and Design, School of Visual Arts, Embry-Riddle Aeronautical University, CalPoly Technical College, Carnegie Mellon and Occidental. Many students have been awarded merit scholarships based on their outstanding portfolios, including financial aid ranging from $44,000 to $100,000. As with all great ideas that start with a humble thought or possibility…we have become high-level creators, thinkers and innovators of the future. At the School of Art and Innovation there are no limits to ideas. This is a place where imagination is fostered and innovation happens. I invite you to look through our website and see what our students are discovering as they build their own futures and careers. Dianne’s accomplished background in the arts includes a BFA from the University of Oklahoma and an Associate’s in Fashion Design from FIT. She has worked extensively in the garment industry for The limited, J Crew, Neiman Marcus, Darryl Alexander and Christian Dior. She also designed and manufactured children’s wear and women’s sportswear in Hawaii under her fashion label ‘Dianne B. Honolulu’. Dianne began teaching art in 1998. She has also worked to train teachers and build successful art programs in her community. She has been a keynote speaker at the Smithsonian Design Institute’s education seminar program on case studies in design education. In 2001, she founded The School of Art and Innovation where she currently teaches art and design courses. Dianne served for several years on the board of directors for Pomegranate Center, a leading nonprofit devoted to meaningful neighborhood design and development. She is also serving her second term as Council-member for City of Duvall. 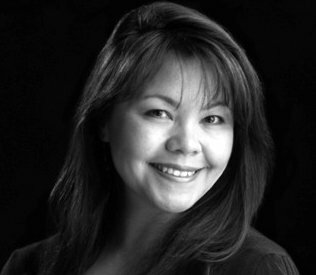 An active member of the community, Dianne has applied her design background to many public and civic projects, both within the U.S. and internationally.